When my novel, The Rising of Bella Casey, came out in late 2013, one of the authors approached to blurb it was Irish novelist and short story writer, Eilis Ni Dhuibhne. She described me as “the Irish Hilary Mantel”. I was pretty chuffed about being mentioned in the same breath as Mantel, since I’ve been a long-time admirer of her work – long before Wolf Hall sent her into the literary stratosphere. 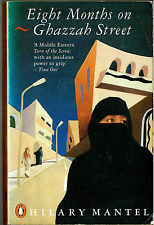 It’s over 25 years ago since I came across Mantel’s third novel Eight Months on Ghazzah Street. I was immediately hooked. The novel tells the story of Frances Shore, whose husband Andrew, a civil engineer, is posted to Jeddah in Saudi Arabia on a lucrative building contract. Frances is disturbed by the restrictions the Saudi way of life imposes on her. She is not allowed to drive; she can’t walk alone in the city without being harassed. Even in her own apartment there’s a constant reminder of the oppressive burden of the female life in the Middle East. The front door of the the apartment where she and Andrew live, is walled up – the legacy of the last occupant, a Saudi woman who had to be protected from accidentally encountering a male neighbour on the corridor outside. The atmosphere of the novel is perilous, claustrophobic and haunted. Frances constantly hears footsteps in the apartment overhead that’s supposed to be empty; the motif has echoes of Bronte’s Mrs Rochester, the madwoman in the attic. As with the best of novels it’s less about what happens externally as about what happens inside – and in Saudi it’s all inside, if you’re a woman. But what makes Eight Months on Ghazzah Street truly memorable is that it’s as much about the state of being female – beleaguered, prone to doubt, troubled by shadowy anxieties – as it is about living as a western woman in a Saudi city at a particular time. I loved this novel and felt I was the only one who knew about Mantel’s wry and bracing prose, her unflinching eye. I went on to read many of her books – Beyond Black is one of my favourites, a darkly ambiguous novel about a flakey (or is she?) spiritualist. And there’s Mantel’s affecting memoir, Giving up the Ghost, which had particular resonance for me as a fellow sufferer of endometriosis. When the rest of the world discovered Mantel with Wolf Hall, I have to admit to a tiny sliver of resentment that finally one of my reading secrets was out. So from one devoted fan of Hilary Mantel – a heartfelt thanks. I love this tribute of one fine writer to another – and back again. Congratulations, Mary. Lovely piece Mary. Glad to see you got your reward! 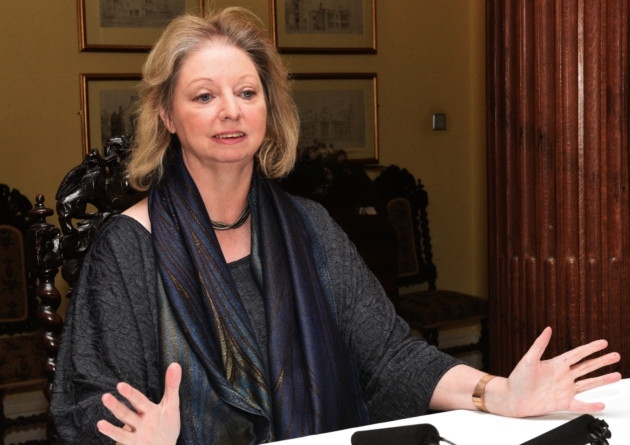 As a student of your’s on the Trinity M.Phil in Creative Writing – 2007/2008, I value your comments on Hilary Mantel, as all the students of that year valued your excellent input to the course and your writing. Oh Mary, I’m so pleased that the brilliant, brave, versatile and generous Mantel has “recognized” you: surely a case of aithnion ciarog, ciarog eile! (a black beetle will know another). A Place of Greater Safety, her novel set during the French Revolution, is so perfect that I am jealous of anyone who has yet to read it.